I've spent this week at a conference in DC, which inspired today's Feel Good Friday, the Smithsonian Institution. The purpose of the Smithsonian Institution, as explained on their website, is a simple one: "The increase and diffusion of knowledge." 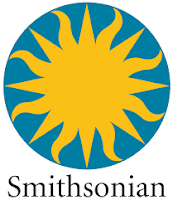 Founded in 1846 using funds donated by British scientist James Smithson, "the Smithsonian has become the world's largest museum, education, and research complex, with 19 museums, the National zoo, and nine research facilities." If you're not in DC, you can still learn about and explore your interests. The Smithsonian website has a section with activities and resources for educators, researchers and kids. You can also visit the Smithsonian Channel on YouTube to watch videos about national parks, history, bugs and more! Inspired by what the Smithsonian is doing? Get involved by becoming one of the 13,000 volunteers. There are opportunities to become a docent, citizen scientist or help with transcribing historical documents. Learn about them all in this short video. If you don't have time to volunteer, you can still support the Smithsonian by making a donation, liking their Facebook page and following them on Twitter @smithsonian.